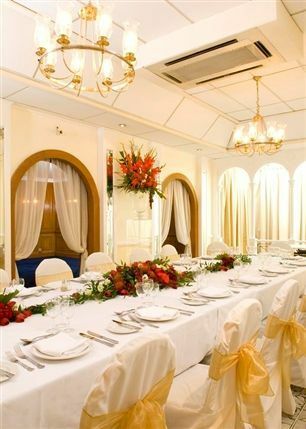 Hire this venue for your own event - it has 28 function rooms the largest of which can hold a maximum of 1000 guests and the smallest is ideal for 8. These elegant rooms, in the heart of Covent Garden, successfully combine tradition with some of the most high-tech facilities in the country, to provide a superb venue for smaller exhibitions. With a two-hundred year history, wood panelling, ornate columns, and chandeliers, this space gives a touch of class to any exhibition. Conference facilities can accommodate for up to 3673 people. From cheap budget hotels to luxury 5 star hotels see our discounts for Grand Connaught Rooms hotels, including Holiday Inn Express London Excel from 79% off.